The cold weather is setting in quickly over Fort Collins. Soon we will forget what 70 degree days feel like. When the leaves finish falling from the trees, winter will have set in. Are one of the many homeowners who has installed a sprinkler system to keep their landscaping looking perfect? It is time you should start to think about how the winter can affect your sprinkler system. This is especially important if you have recently moved to the area from warmer climates as you may not know how to avoid unforeseen landscaping costs in the spring. The frigid temperatures of the Northern Colorado winters can wreak havoc on your sprinkler system. Landscaping services in Fort Collins, CO recommend that you winterize your sprinkler systems before the first freeze. Winterizing your sprinkler system is one of the most important steps in maintaining your sprinkler system. When the water within your sprinkler system begins to freeze it will expand and can possibly crack the pipes. If you skip this step you run the risk that your sprinklers will not work properly in the spring. Cracked or damaged pipes might mean that you need to replace the entire system. This is not a cheap job. 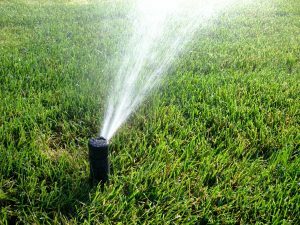 Professional landscaping services in Fort Collins are more than equipped to “blow out” your sprinkler system. Make sure that you call Advanced Landscaping & Sprinklers, Inc well in advance. No one knows when the first freeze will occur. The sooner you take care of the winterization, the better. Our professional staff will make sure that your sprinkler system weathers the frigid winter temperatures. Give Advanced Landscaping & Sprinklers, Inc. a call today!